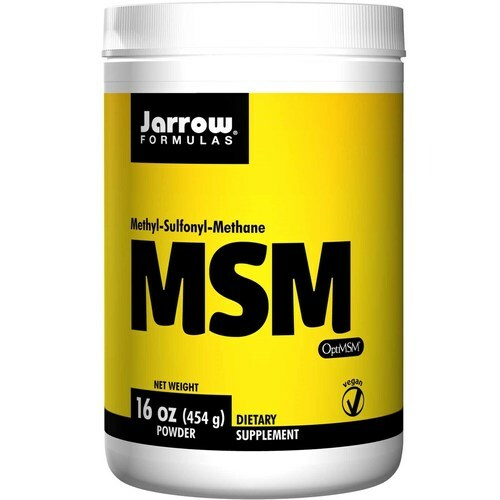 Jarrow Formulas MSM Powder comes in easy to mix powder format that is suitable for both vegetarians and vegans. Warnings: Packaged by weight, not by volume. If you have a medical condition, are pregnant, lactating, trying to conceive, under the age of 18, or taking medications, consult your health care practitioner before using this product. Keep out of reach of children. Do not take more than recommended dosage. Do not use if safety seal is broken or missing. Notes: Wheat Free. Gluten Free. Soybeans Free. Dairy Free. Egg Free. Fish Free. Shellfish Free. Peanuts Free. Tree Nuts Free. Recommended Use: Take 1 scoop per day or as directed by your qualified health care professional.